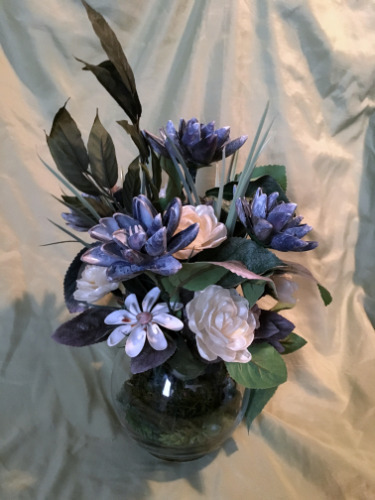 A glass bowl centerpiece of deep blue and creamy white seashell flowers. The glass bowl is 5 inches tall and 5 1/2 inches wide. The centerpiece is 16 inches tall and 11 inches wide. Great in any nautical, beach, or traditional home decor.